Taking the band to whole new level! 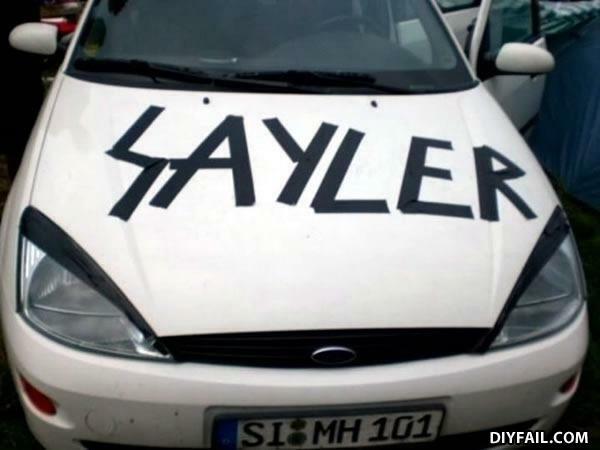 You should label you car BEFORE arriving and having some beer at Wacken! He's obviously in the Navy. Duh! If they liked it they would have spelled it right. Like when 'c' is omitted from 'Marcy' when you have it tattooed on you for your wife. Yar! Talk like a Metal Pirate Day is here. What shall we do with the drunken SAYLER...?